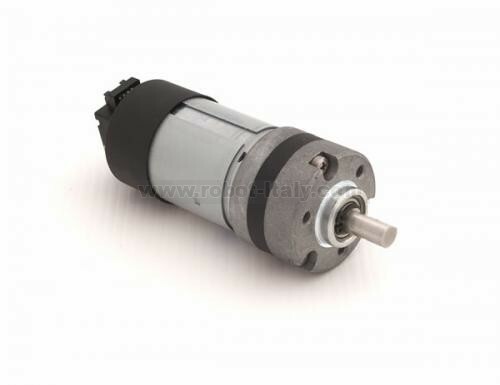 Planetary Gearmotor with two phase Hall effect 90? encoder. The sequence of the phases A-B is obtained connecting the motor with the polarities printed on the black bottom cover.